Understand the business value that IBM’s cognitive machine learning brings to your IT Operations. Hear Danske Bank’s experience and success with adopting IBM’s ITOA technologies in their Operations. Listen to how Claranet has improved efficiency with IBM's cognitive machine learning solutions. Consolidated Communications uses IBM Predictive Insights to detect silent failures and used automation to manage thresholds. See how predictive insights uses cognitive capabilities to monitor your IT environment and alarm about changes in behaviour. Learn how anomaly information is presented to help you identify potential service impacting issues. A framework to evaluate the potential financial impact of IBM Cloud APM on their organizations. IBM commissioned Forrester to conduct a TEI study examining potential ROI enterprises may realize by deploying NOI. Extend search capabilities to analyze incidents and service requests for assigning tickets to subject matter experts. Learn how IBM IT operations analytics (ITOA) solutions can proactively help avoid outages with cognitive capabilities. Learn about new roles emerging as part of DevOps practices and why is machine learning now essential? Learn about the integrations for Operations Analytics and NOI to include IBM Cloud Private and how easy it is to deploy them. Listen to the long term strategy for Netcool Operations Insights, APM and Operations Analytics. Provides end-to-end visibility, control and automation to manage applications, infrastructure, services and workloads. Cognitive service management capabilities go beyond current monitoring tools to help identify problems before they arise. Take advantage of analytics for IBM middleware like IBM MQ, IBM WebSphere® Application Server and IBM Integration Bus. 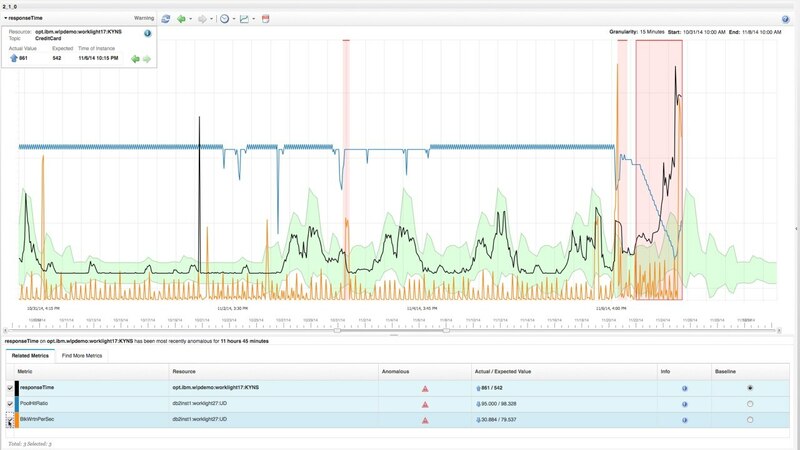 Take advantage of ready to use integrations to detect anomalies in key performance and network managers.